If you and your family are in need of a new roof for your home, you’ve definitely come to the right place for your free roof estimate! Our Atlanta roofing contractors offers exceptional roofing and gutter installation services at affordable costs. 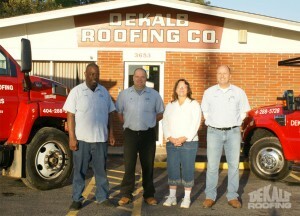 With DeKalb Roofing Company, you can expect courteous customer service and unparalleled craftsmanship. 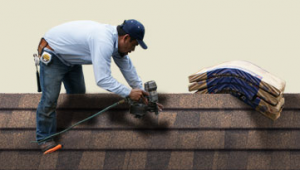 With 39 years of experience in the roofing industry, along with the fact that we use the highest quality roofing and gutter materials, you can expect impressive results from us. This is something you can expect from the time we give you the free roof estimate until the time when we finish your project(s). 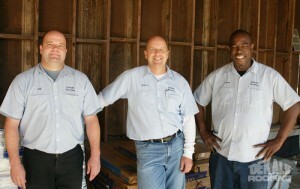 Each of our installers has been employed with us for 10+ years. Our experience and beautiful results within the roofing industry proves that you can trust us to deliver quality results. 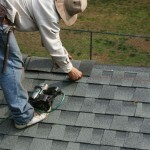 What can you expect from our roofing company? 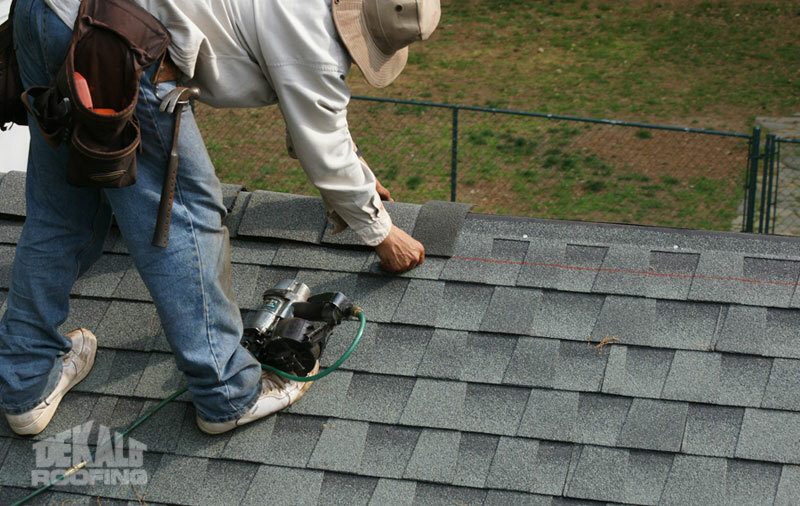 When we come out to your home for your free roofing estimate, we will take into consideration many factors about your home, and thoroughly evaluate your roof and gutters before giving you our professional recommendation(s). Regardless of which solutions we recommend, you and your family can be confident that our quality workmanship produces exquisite results for your home’s exterior appearance, and for your family’s safety. In addition, most of our products are backed by product warranties, as well as the 5-year labor warranty that our roofing company offers—it’s a win-win situation for you and your family! 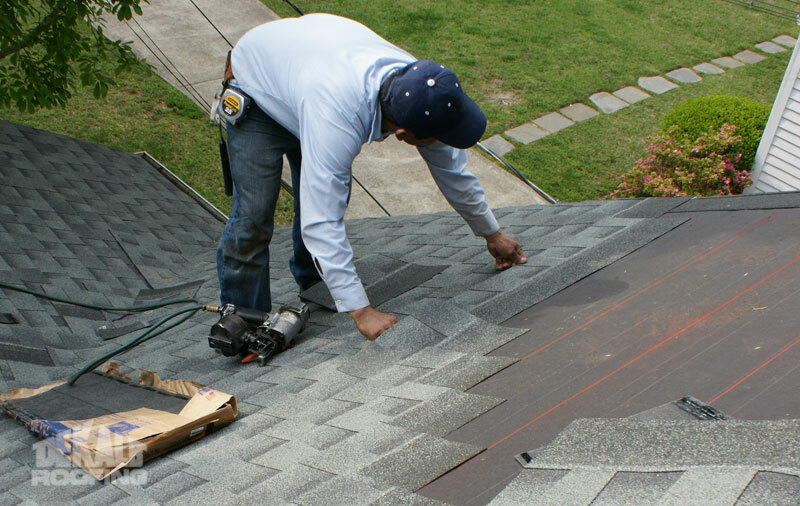 We can tell you that our customers have always been extremely happy and satisfied since we complete most roofing and gutter projects within 1-2 days. After the project, we will also haul away all debris to leave your yard neat, clean, and beautiful like it was before we started the project(s). Throughout every project, we believe in doing it right the first time, which means we’re committed to delivering services so you and your family can be protected for many years to come. Whether you want to enhance your home’s exterior with our architectural shingles, or if you’d like us to install the LeafSolution gutter covers, our roofing company has your solutions. Call for your free roofing quote today! 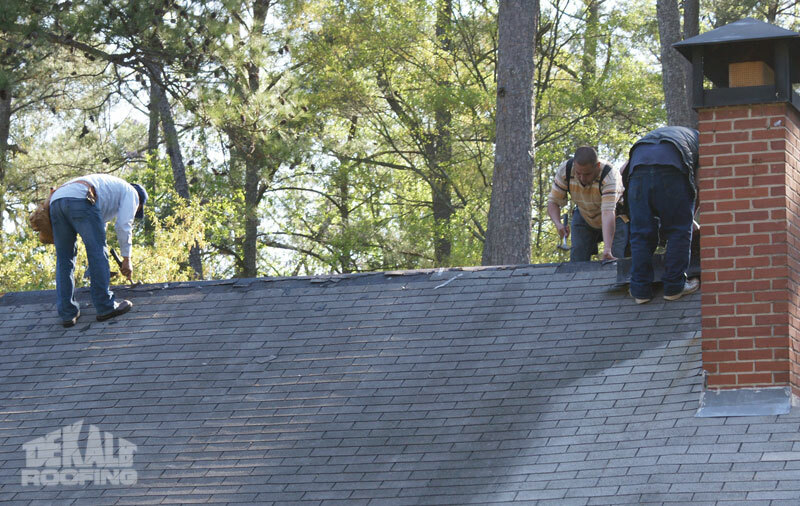 So if you are ready for your roofing and gutter services, call our roofing company today at 404-288-5728. After you receive your free roofing quote from our installers, you can look forward to top-notch, quality services that will exceed your expectations. Have you been living in the same house for the past 30 years, and now you are beginning to wonder whether or not you need to replace your old, leaky roof that’s been giving you headaches lately? If this sounds like your scenario (or close to it! ), and you get nervous about your roof whenever a big storm comes your way, maybe it’s time for you to consider opting for a new roof installation for your home. If any of these signs are evident, they may indicate that you need to get rid of your roof as soon as possible! 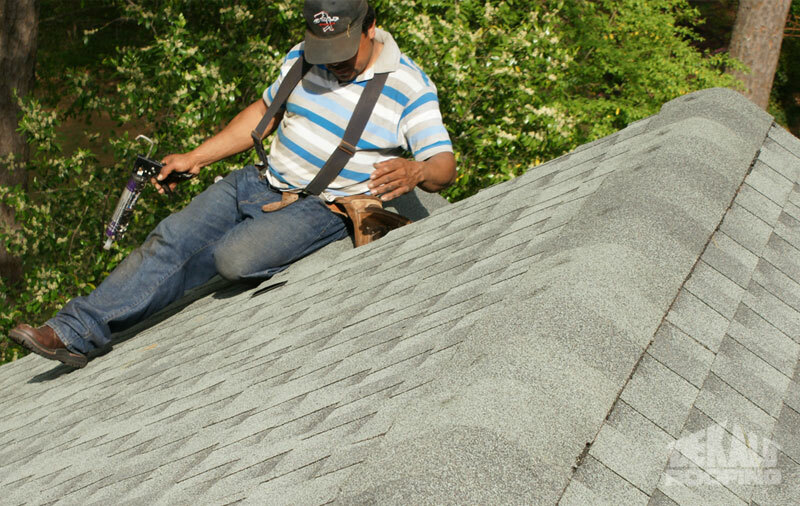 Depending on which of these factors are present in regards to your roof, the roofing contractor may suggest either a new roof installation or fixing the roof (eventually you will need a new roof, though). 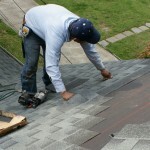 Are you ready for a new roof? So if you need to replace your old, leaky roof, you can contact DeKalb Roofing Company for your new roof installation services. We even offer gutter installation, too! Call us today for your free quote!